A charming suite that features a soft earthy colour palette and sweet hand drawn foliage. 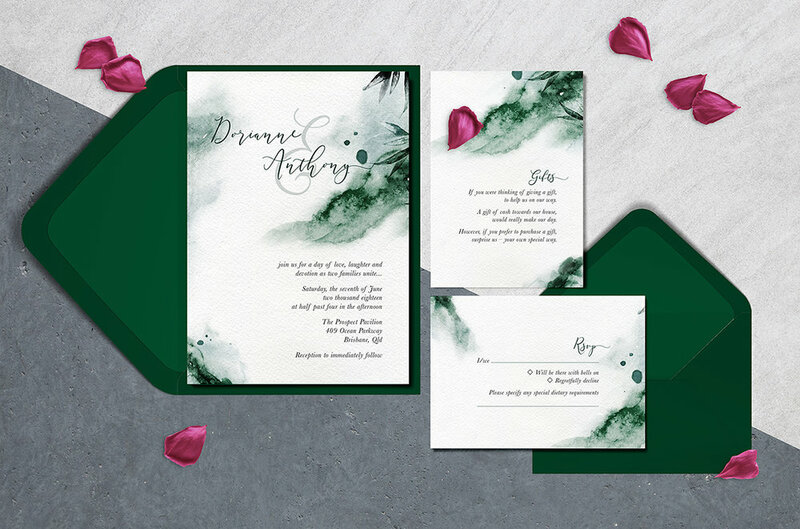 This versatile design can set the tone for a laid back affair or a sophisticated event. Add a splash of colour with a bright envelope or pair back with something a little more neutral. Would you like me to add matching envelopes to the quote? A burst of coloured blossoms dotted throughout this suite makes for a pretty spring inspired wedding day. 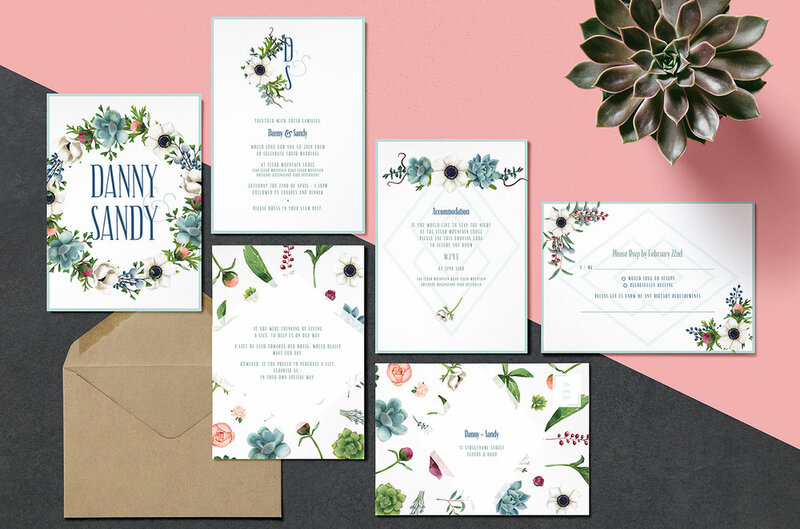 A splash of vibrant painted blooms is the perfect choice for a floral-inspired wedding day. Something old, something new, something China Blue. 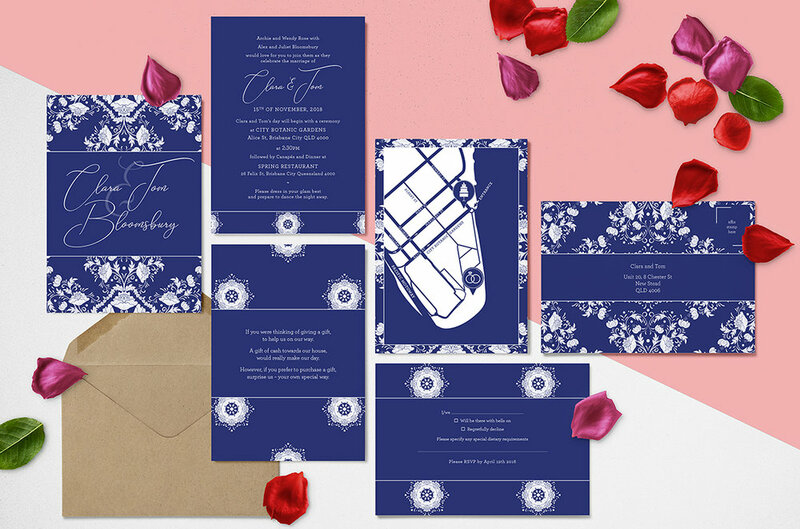 A perfect way to incorporate "something blue" into your wedding day. A romantic suite of subtle blush pink and grey tones is the perfect choice. 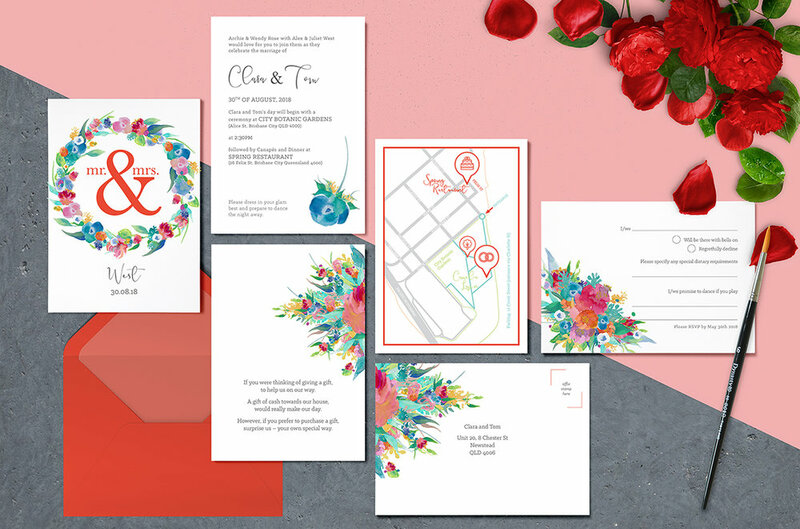 Add a touch of spice to your wedding day with this exotic Moroccan inspired stationery suite.